This article is published in the November 2012 issue. Several computing organizations work at the national level to increase women’s participation in computing, but few seek regional level transformation. The omission inhibits the ability to recruit women from isolated areas of the country, excludes women at institutions that cannot afford expensive and time-consuming travel to national meetings, limits opportunities for leadership roles, deters participation by high school students, and reduces the type of interactions that spark and sustain collaborations among budding students and professionals. Regional events overcome these impediments to women’s broad and deep engagement in computing. 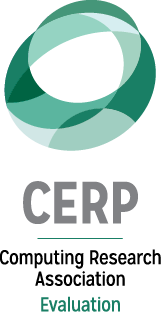 The vision of the Grace Hopper Regional Consortium (GHRC) is to bring the positive impact of national platforms to diversity-rich local populations by creating self-sustaining communities (e.g. regional conferences, ACM-W student chapters) that feed into the larger events, both building local momentum and creating a two way flow of information between regional and existing national infrastructures. Focusing on women (as well as regions) serves a population powerfully united by gender, yet diverse in experience, with personal stories varying by race, ethnicity, disability, and sexual orientation. The National Science Foundation funded GHRC for a three-year grant period September 2009 through December 2012, within its Broadening Participation in Computing (BPC) program. Along with Principal Investigator (PI) Gloria Childress Townsend, who represents the ACM-W Women’s Council, partner organizations are the Anita Borg Institute for Women in Computing (ABI) with PI Telle Whitney and the National Center for Women & IT (NCWIT) with PIs, Joanne McGrath Cohoon and Lucy Sanders. · A critical mass of leadership for further extending the web of support for women in computing. The consortium focuses on the creation of 12 new regional conferences. Prior to the grant award, an ACM-W project helped to create four sustained regional conferences in the United States – conferences in Indiana, Ohio, Michigan and Colorado. Organizers of the original four conferences consider offering the initial conference to be much more difficult than organizing subsequent conferences. The NSF grant helped to overcome the reluctance to launch new conferences by supplying start-up funding to bring the total number of US regional conferences for women in computing to 16, covering roughly one-third of the US contiguous states and bringing the total number of regional attendees to approximately 3,150. Additional regional conference structures exist in Canada, Australia, New Zealand, India and Great Britain. The following list shows all of the regional conferences that were created by the GHRC, NSF and those in existence before the funding. 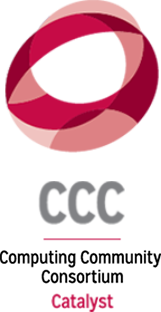 The GHRC website http://ghregionalconsortium.orgcontains detailed information about both upcoming conferences and also archives describing past conferences. Conferences with bolded titles indicate that CRA-W contributed speakers through its Distinguished Lecture Series (DLS) program. 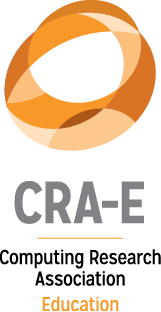 The large number of references to the DLS program and additional CRA-W programs like the Distributed Research Experience for Undergraduates (DREU) and Collaborative Research Experience for Undergraduates (CREU)show a tight coupling between CRA-W’s programs and the regional conferences. Numerals in parentheses indicate the conference instance. All conferences except the annual Northwest Regional Celebration of Women in Computing are biennial. The preceding list demonstrates geographic diversity with conferences spreading from the original Midwest conferences to the four corners of the United States and spanning both rural areas (e.g. Indiana) and metropolitan districts (e.g. Chicago). MIDWIC1 and MICWIC2, two additional larger regional conferences in the Midwest, covered multi-state areas and co-located with ACM’s Consortium for Computing in Colleges’ annual Midwest conference. Both conferences used CRA-W’s DLS project speakers. In fact, flexibility is a key attribute of the women’s regional conferences’ model. Some conferences attract significant industry representatives (e.g. Rocky Mountain); some recruit substantial numbers of high school girls (e.g. Northwest); while other conferences emphasize research (e.g. Southern California). Among the conferences one important constant exists; the celebrations share the hallmark of GHC: All women in computing are welcome to attend. Conferences maintain multiple tracks, typically research/technical and industrial/social, so that graduate students and undergraduate students who have conducted research or want to do so in the future are served, along with undergraduate students who wish to move immediately to an industrial career after graduation. Another similarity among celebrations is that poster sessions have two tracks: one for research, the other for social, ethical and curricular issues of computing. 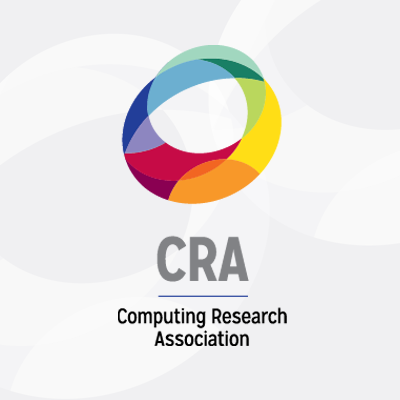 The poster sessions allow collaboration with the Research Experience for Undergraduates program, CRA-W’s CREU and DREU programs and additional funded research programs for graduate or undergraduate women in computing. The graduate and undergraduate research poster winners receive scholarships to attend the GHC conference. The student coordinator of the conference traditionally receives the third scholarship, although some conferences award the scholarship to a Lightning Talk winner or a runner-up research poster winner. The Principal Investigators believe that the progression of presenting research at a regional conference, moving to GHC and finally speaking at a research conference provides an ideal stepping stone model for developing confidence and presentation skills. Each celebration also features “Lightning Talks,” which allows a large number of women to give very short presentations with two tracks that mirror the poster session divisions. Oftentimes, this is the participant’s first formal talk, and it builds confidence and experience. Lightning Talks also provide opportunities for PhD candidates to collect reviews of their research topics. Both the Lightning Talks and poster sessions help in achieving the “mentoring” and “promoting guided research experiences” goals of the regional conferences. Keynotes, additional talks, panels and workshops given by professors, researchers and industrial leaders aid in achieving the “intentional role modeling” and “providing accurate career information” goals. ABI and NCWIT, as part of the grant, send speakers, and industrial sponsors also contribute. The GHRC enjoys a long-term relationship with Microsoft, as the company has sponsored every conference connected with the BPC grant and continues to sponsor fall 2012 and spring 2013 conferences that lie outside the purview of the grant. According to collected data, the conferences successfully “build community,” the fifth and final goal. Because conferences typically occur biennially, the consortium relies on ACM-W chapters and social/electronic media to sustain the sense of community between conferences. The NSF grant covers expenses for two of the 16 conference organizers to attend GHC, before each conference is held. Organizers participate in workshops to prepare for conferences, guided by the PIs and by experienced conference organizers. Three organizers from each conference attend the NCWIT Annual Summit, as part of the BPC grant. The conference coordinators’ attendance at the GHC and NCWIT meetings and the GHC and NCWIT representatives’ attendance at the regional conferences allow two-way dissemination of information and broaden all efforts toward recruitment and retention of women in computing. NCWIT, primarily represented by Joanne McGrath Cohoon, provides recruitment and retention workshops for faculty members attending regional conferences. The GHRC grant PIs will publish results and conclusions from data collected by the external research and assessment company, Rockman et al, after the conclusion of the fall 2012 Chicago regional conference. Data include pre- and post-survey collections and interview results.